There is a MUST SEE video at the bottom of this article, if you do nothing else, PLEASE watch this video! These are the same people who if questioned or challenged over the legality of their actions, will stare you coldly in the face and blatantly state “I’m from the federal government so I can do anything�?! The crux of the issue is … in America THEY CAN’T, or never used to be able to. When we who rant about these issues state that this government has completely discounted the constitution and bill of rights as the legally binding organic law of this land, we used to receive major push back and disbelief, well even a blind man can see this today. The two pillars of rights in America are our right to property and privacy, but both are under extreme, continuous and soon to be fatal attack! 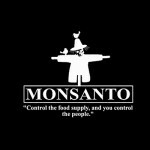 Monsanto; one of the most hated companies in America has had a long history of corruption, producing the most toxic chemicals and pesticides, food monopoly and market control. Over the last century, Monsanto has been able to get away with many things, since it’s deeply rooted and embedded within the U.S. government. One of the best ways to be effective and be able to get away with anything even if it’s murder is the ability to penetrate and function inside of a powerful organization or institution. 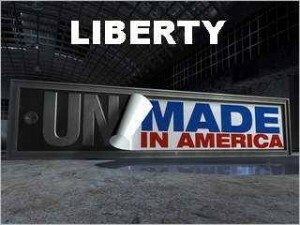 The CIA does it all the time; the old Mafia did it so do many other powerful corporations in America. Monsanto’s bullying policies are known to anyone who has stood up on their way against the use of GMOs, pesticides or rBGH growth hormones. One of the countries who stood firmly against the import of GMOs, synthetic pesticides and cows who are injected with hormones and antibiotics was France because it has zero tolerance for carcinogens in food. But as we all know, no act of rebellion against the pesticide empire remains unpunished. During George Bush’s presidency, the French rejected to import livestock from the US, however the US retaliated by increasing steel import tariff’s during GATT talks to punish the French government and accused them of being anti-American. That sounds familiar doesn’t it? Donald Rumsfeld (CEO of pharmaceutical company Searle that was later sold to Monsanto) called European countries (France and Germany) that did not support the invasion of Iraq in 2003, the “old Europe�?. George Bush’s famous quote,�? that either you are with us or you are with the enemy�? is still remembered by many. Even Iran who helped America to win the war on terror in Afghanistan was soon called the “axis of evil�? by the same administration. Even one million Iraqi civilians mostly women and children were regarded as collateral damage of the war on terror. As George Orwell said “until people become conscious, they never rebel and until after they have rebelled, they cannot become conscious�?. The criminal elite know that if they take away the meaning of words, it will incapacitate our thoughts. So labels are everything; the content, the code, the underlying intentions and the desire to manipulate and control the masses so they can pass anything to American public with no time to review or reject it. Knowing the history of Monsanto, oil companies and big banks, it’s quite laughable how Monsanto is now joining big banks and oil companies for pushing the UN so called Agenda 21 for global sustainability and development. Last week a report by organicconsumers.org showed how Monsanto has been deeply embedded with all our government branches since 1990s. 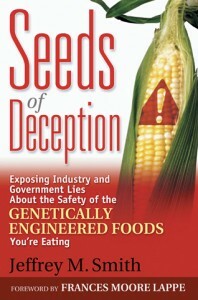 The history of Monsanto and FDA starts at 1991 when Margaret Miller one of the ex-top scientists at Monsanto was appointed as Deputy Director of FDA by George Bush Sr. Margaret Miller, as one of the top scientists in Monsanto was working on developing rBGH growth hormones that have been linked to breast cancer on women and prostate cancer in men. Later on when she was working in FDA, she approved the same growth hormones that she was previously studying at Monsanto. In the same year of 1991, Clarence Thomas, an extremist and a right wing nutcase (who was Monsanto’s former attorney and a big promoter of agribusinesses and mass chemical poisoning) was appointed to the Supreme Court despite the rage of the whole nation. On the other hand Al Gore that warned all of us of the rapid climate change and greedy polluting corporations like Monsanto won the 2000 election by the majority vote. However, over 46,000 black votes were discounted in the state of Florida where George Bush’s bother was the governor. It was the decision of the US Supreme Court that effectively resolved the 2000 presidential election fraud in favor of George W. Bush. Clarence Thomas was the one who cast the deceptive vote that put George W. Bush into the office. In 1992, Michael Taylor, Monsanto’s former attorney was appointed as Deputy Commissioner of FDA; a role that gave him the authority to expedite the approval of genetically modified organisms in our food supply. Later on Mike Taylor became the VP of Monsanto. In 1993; Rufus Yerxa Monsanto’s Chief Counsel and one of the most powerful figures in the world international trade policies was nominated as U.S. deputy to the World Trade Organization. 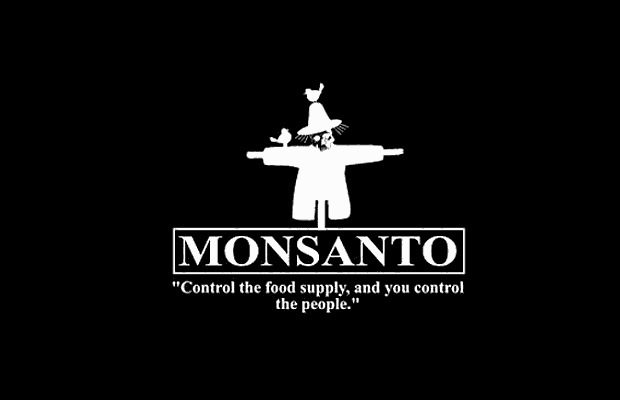 In 1996, Michael Kantor who was on Monsanto’s Board of Directors became the US Secretary of Commerce. 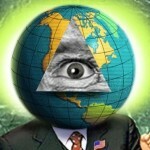 In 2000, Carol Tucker Foreman who was a lobbyist for Monsanto was appointed as the “Consumer Advocate�? on the international committee assessing genetically modified foods. In 2001, Anne Veneman who was on Board of Directors of one of Monsanto’s biotech subsidiary called Calgene was appointed as head of USDA in charge of regulating genetically modified organisms. In January 2001, Donald Rumsfeld the CEO of Searle pharmaceutical corporation acquired by Monsanto was sworn in as Secretary of Defense. Although Bush was a lame-duck president for 8 month soon after 9/11 he rediscovered his mission that was appointed to him by Gods to fight a good war on terror. Secretary Rumsfeld was in charge of the Defense Department during the 9/11 attack and the war on terror. In 2001 Linda Fisher who was previously Monsanto’s VP of Government Affairs was appointed as Deputy Administrator of Environmental Protection Agency. In 2002, George Poste the former Monsanto’s animal specialist was appointed as head of bioterrorism division of Homeland Security. In 2008, Obama despite his promises to make changes and label GMO foods appointed Michael Taylor, Monsanto’s former attorney and VP as Deputy Commissioner of FDA. He also gave his blessing to continue the use of aborted babies as flavor enhancer in sodas and soft drinks which means business as usual. Not that Obama hasn’t made any efforts to lead America towards healthier food production with temporary halt to GMO foods, he has continued the policies of George W Bush. Besides appointing Mike Taylor, soon after he took office he appointed Roger Beachy, the former director at Monsanto as head of USDA, Tom Vilsack and creator of Governors’ Biotechnology Partnership as the commissioner of USDA. 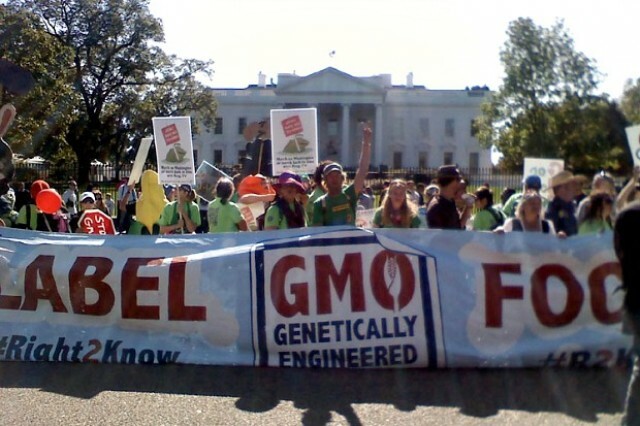 He promised to label GM foods but instead the USDA under the Obama administration approved GMO alfalfa and sugar beets that can increase the chances of cross contamination and many other environmental problems. TLB recommends you visit www.seattleorganicrestaurants.com for more great/pertinent articles. As we are aware, the governments and pharmaceutical companies are always searching for new ways to push vaccinations onto unsuspecting parents. The earlier they can target a child’s parents, the better they like it. One of the vaccination initiatives being used by twenty-seven states across the US is to send every new parent a “congratulations on the birth of your baby�? card. Beth Kaplan, a spokesperson with the state of Wisconsin’s Division of Public Health, whose state vaccination compliance rates have reached as high as 84 percent since the implementation of this program, believes that this initiative is just one way to create awareness about the importance of vaccinations for children. 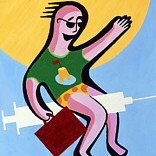 She says, “the program is one of many things we do to encourage the vaccination of children.�? I am sure that one question on many people’s lips is, “Who exactly is paying for these cards?�? Behind-the-scenes are definitely the real key words, and that’s where we are going to take a look in order to tell you the whole story of these “unsung heroes.�? MRIGlobal “offers world-class expertise and experience in bioanalytical model development, testing, and validation—a complete array of services for the development and licensing of new vaccines.�? 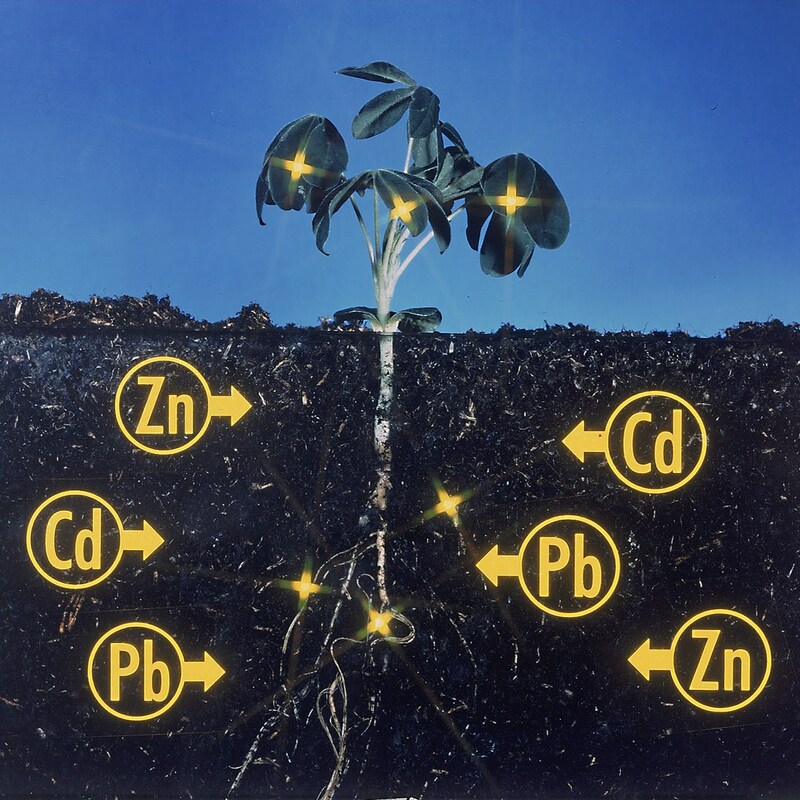 They also supply “government and industrial clients with high-purity, reference grade chemicals.�? One of MRIGlobal’s recent projects was in partnership with PATH. The project involved providing support to biotechnology companies that are developing influenza vaccines that can be “accessible and affordable for low-resource countries.�? Despite MRIGlobal’s noteworthy claim that their work “encompasses safety, toxicity, potency, efficacy, and vaccine formulation stability,�? children who have received vaccines from their partner organizations, like PATH and UNICEF, are still suffering many adverse reactions from these vaccinations. 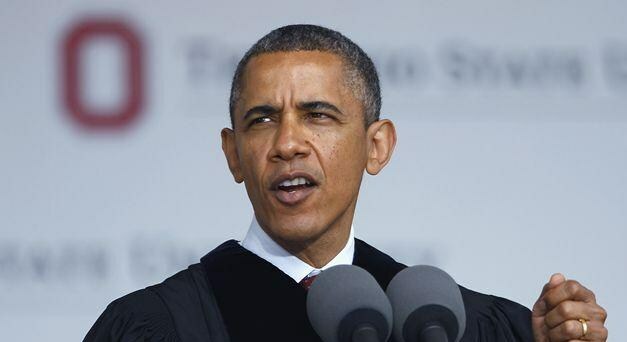 On May 5, 2013 in Columbus, Ohio, Barack Obama gave the commencement address to the graduating class of The Ohio State University at Ohio Stadium. PRESIDENT OBAMA: “Unfortunately, you’ve grown up hearing voices that incessantly warn of government as nothing more than some separate, sinister entity that’s at the root of all our problems. Some of these same voices also do their best to gum up the works. They’ll warn that tyranny is always lurking just around the corner. You should reject these voices. Because what they suggest is that our brave, and creative, and unique experiment in self-rule is somehow just a sham with which we can’t be trusted. As our president tries to convince our arriving generation of citizens that it is in fact those who love and care for this country the most, who are it’s worst and not it’s best, his words could not be more telling of the true character of the tyranny he represents. The lies and deceit in this address are blatant and many, so lets put forth some corrections and truth! 1. Why didn’t he state that the US is no longer a nation ruled by the original and organic Constitution or We The People, but is in fact a corporation controlled by the same elitist who own the Federal Reserve? 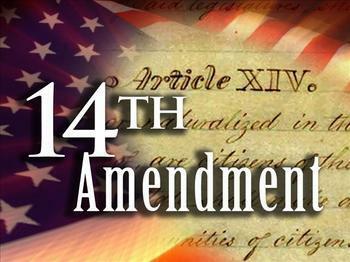 This is not a conspiracy theory or conjecture, it is a fact that all sitting presidents since the 14th amendment was instituted in 1868 and codified in the DC Organic Act of February 21st 1871, are fully aware of, as is Congress and the Supreme Court. Anyone who thinks this is not real needs to read the Congressional Record … This Act set up the DC Corporate government, in a capacity of control, separate from the Republic of the United States of America, and We The People are all merely assets of this corporate entity and NOT citizens of the original USA … research this for the shock of your life! So if this government is not a “separate, sinister entity�? why is this FACT hidden from We The People and not even mentioned in our history books or taught to these very graduating students? Why is this charade perpetuated continuously? 2. If this government wishes only to serve We The people, why are we fighting so many unpopular and unjust wars, killing millions who in no way endanger our freedoms or way of life? 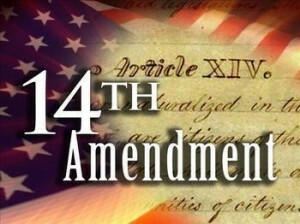 Why are so many tyranical bills and executive orders passed or mandated against the will of the majority? 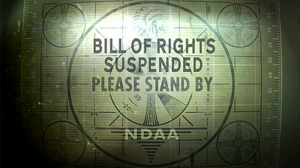 To name a few (and there are are a plethora), the Patriot act (the legal ability to spy on Americans), the NDAA rider (allowing indefinite detention without due process), Monsanto and GMO producers immunity from prosecution (regardless of their transgressions), a resounding defeat of the Sanders amendment (intended to definitively establish that states have the right to require labeling of GMO ingredients), corporate bailouts in the trillions of dollars (we where lied blatantly to about the actual amount), failure to audit the Federal Reserve, The ability of the president to assassinate American citizens without due process, gun control legislation, and so much more. 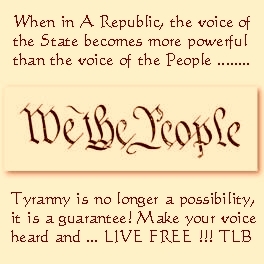 None of the above stated tyranny is supported by a majority of the populace and in most cases is opposed by a super-majority, yet these laws and EO’s (and many more) have been forced upon us by our duly elected representatives, with little or no regard to our wishes or protests. This lays waste to this blatantly misleading comment “They’ll warn that tyranny is always lurking just around the corner. You should reject these voices. Because what they suggest is that our brave, and creative, and unique experiment in “self-rule�? (does not exist any more) is somehow just a sham (it is) with which we can’t be trusted�? (you obviously can’t)! 3. “We have never been a people who place all our faith in government to solve our problems. We shouldn’t want to�? This has got to be a joke! It does not take much research to realize that more Americans are dependent on government entitlement programs today then at any point in recent history. The increase in the welfare and the food stamp programs alone has skyrocketed at an exponential rate in the latter part of the past decade spurred on by this very government. The reasoning … A people dependent on government is far less likely to oppose that government regardless of the circumstances … FACT! In one instance this administration even went as far as to post inviting and attractive posters, with mouth watering meals of steak and seafood displayed on them, across the inner city subways, bus stations and other locations of major population centers to attract people to the food stamp program. 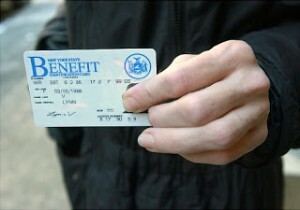 Participation in this program now bumps up on 50 million Americans. What you are not told in the massive level of fraud involved in the program, and that very little to nothing is being done to curb it because they know these people will always be there to support this government in order to assure their entitlement/benefit. 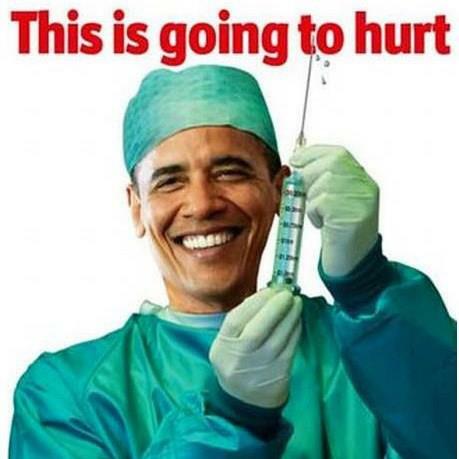 Obamacare is one of the most unpopular programs ever presented to the American public and was only instituted through a massive campaign of lies, deceit and fraud, most of which is readily apparent as implementation proceeds. Yet it will eventually lock a vast majority of us into a dependency on our government for even the most basic healthcare needs and intrude into our personal lives on a unheard of scale, including mandatory RFID chips. This has the ultimate result of destroying what used to be the most advanced and effective medical system on this planet, and the envy of the world. This program is by far the most destructive influencing factor today on the evaporating middle class as many employers stop hiring full time employees and shift full time positions to part time, or move their companies off shore to avoid the massive cost they will realize with the full implementation of this highly invasive program. This is a major player in the free fall of the average household income, forcing many more Americans to dependency on government entitlement programs such as food stamps. YUP a self perpetuating cycle. Do you really think by the way this administration fights viciously to push this program forward even in the face of it’s huge unpopularity, that this is a mistake, or unintended? 4. “But we don’t think the government is the source of all our problems, either. Because we understand that this democracy is ours�? 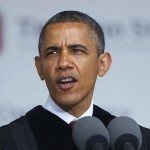 Why the hell does he (a supposed Constitutional scholar) constantly state we are a Democracy? This country was founded and then bequeathed to us as a Constitutional Republic that chooses its leaders in a democratic process, NOT as a Democracy! This man avoids using the word Republic as if it was cursed. 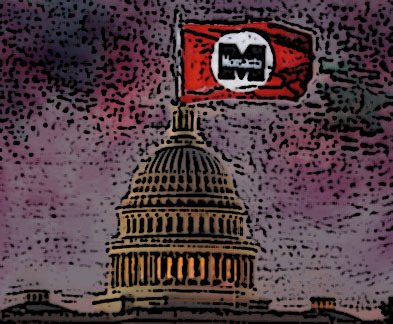 My biggest concerns are that we have transitioned to a purely socialistic Democracy ruled by a soft dictatorship, and the rights of the individual mean nothing if they do not serve the majority (propagandized MSM addicts), or in fact the corporatist elite who own and rule this nation. Now I have literally torn this charade of a commencement speech apart as a litany of falsehoods, lies and deceit, and I am sure some of you will push back against at least some of this … do some research please! I could go on and write a book with ease, but I feel I have made my intended point. We are all aware that politicians by nature say just what they feel we want to hear but never what we need to hear, but this goes well beyond that to blatant lies and misrepresentations. If you just take everything stated and reverse it you will come very close to the truth. 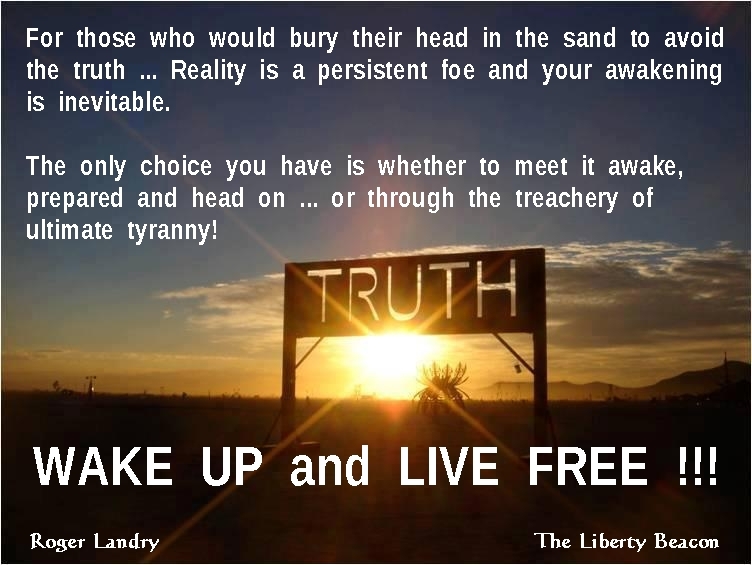 We The People need to wake up to the reality of America as it exists today, not as it was founded or bequeathed to us, and realize it is only through unity in voice that we will ever get this Republic back on track and once again enjoy the freedoms and prosperity that are the defining promises of the American dream! If we don’t, and soon, our children will never know the true meaning of freedom and it will be in many ways our responsibility for failing in our role as the true governing force in this once great nation. LIVE FREE !!! “Let food by thy medicine and let medicine be thy food,�? said Socrates. 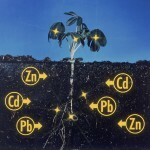 Our soils are more depleted of nutrients than they were 2500 years ago, and today much of what comprises people’s diet in the U.S. is more poison than medicine, for processed foods are most often high in calories and low in nutrients, or altogether absent of calories and nutrients but full of toxins, as is the case in diet soft drinks. On top of that, it’s difficult to purchase any processed food today in the U.S. that doesn’t contain genetically modified, or engineered, ingredients. Despite the proved health risks from consuming genetically modified organisms (GMOs), the FDA has approved GMO foods and drugs without testing, taking the word of the agrochemical and seed giant Monsanto that they’re safe, despite substantial evidence that GMOs are anything but safe for human or animal consumption. 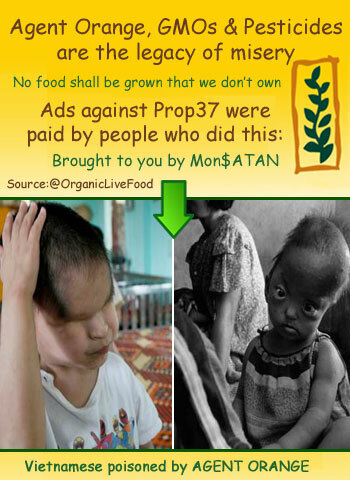 “Monsanto: The World’s Poster Child for Corporate Manipulation and Deceit,�? by Jeffrey Smith, explains how the revolving door between the Monsanto and the U.S. government ushered in an era of GMO-contaminated foods. Click on the image to access the pdf of the article published by Huffington Post in 2010. How did this happen? Monsantoism and Corporatism in the U.S.
As author and journalist Chris Hedges tells us in “Democracy in America Is a Useful Fiction,�? a corporate coup d’état has occurred. 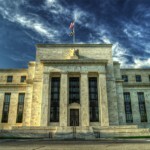 Corporations are now fully in control of the U.S. government. Jeffrey Smith, founding director of the Institute for Responsible Technology, leading authority on GMOs, and author, has published two books on how an aggressive, deceptive war has been waged by Monsanto and other agrochemical and biotech corporations against farmers and against the people of the world, invading food supplies, and our bodies, with GMOs. Smith’s summary published in Huffington Post explains how Monsanto got FDA approval for genetically engineered foods (see “Monsanto: The World’s Poster Child for Corporate Manipulation and Deceit�? as a printable pdf or at Huffington). Like the EPA’s process of “pre-approval�? of oil dispersants based on data from the manufacturer’s own tests, the FDA accepted Monsanto’s test data to designate GMOs as generally accepted as safe (GRAS), and therefore not requiring further testing by the agency. This policy is based on political, not scientific, considerations and was accomplished by allowing Monsanto to tailor rule-making and policies favorable to its corporate interests and more generally to the agri-biotech industry. As if this were the plot of a modern-day Dickens novel in which characters are tagged according to their vice or virtue, the name of the man to plow the FDA field for the sowing Monsanto-friendly policy is Michael Taylor, who re-entered the FDA through a revolving door between Monsanto and the federal government, this time to fill a position created especially for him to continue to serve his true client. To permit States to require that any food, beverage, or other edible product offered for sale have a label on indicating that the food, beverage, or other edible product contains a genetically engineered ingredient (S.AMDT.965). 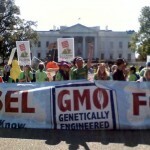 Two days after President Obama signed the “Monsanto Protection Act�? (HR933), the Senate rejected an amendment to a farm bill that would have provided protection to states which choose to mandate labeling of genetically modified foods. Sen. Bernie Sanders’ amendment, co-sponsored by Senators Mark Begich (Alaska), Richard Blumenthal (Connecticut), Michael Bennet (Colorado), and Jeff Merkley (Oregon), was overwhelmingly defeated. Seventy-one U.S. senators believe we the people shouldn’t have the right to know what’s in the products we and our children consume. Seventy-one U.S. senators think states shouldn’t be allowed to mandate such labeling. Seventy-one U.S. senators say we don’t have a right to know what’s in the food we eat and the beverages we drink, because they believe we should be forced to eat and drink GMOs whether we want to or not. Seventy-one U.S. senators say we don’t have a right to protect our health by avoiding ingredients that are known to endanger our health. Seventy-one U.S. senators have told us that it’s more important to them to listen to Monsanto lobbyists and to represent Monsanto than to listen to and represent their electorate. Only twenty-seven voted for the amendment. You can go here to find out how your senators voted. Two days before the Senate struck down the GMO labeling amendment, President Obama signed an appropriations bill dubbed the “Monsanto Protection Act�? for a rider anonymously inserted (admittedly by Sen. Roy Blunt and Monsanto) that allows the secretary of the Department of Agriculture to override court orders regarding biotech companies.2 With the government protecting Monsanto’s profit margins instead of food safety and public health, we have no choice but to do our best, using resources provided by nonprofit organizations, to avoid GMOs. For the time being, we must continue to avoid GMOs by informing ourselves and each other. Why should we avoid GMOs? Genetically modified organisms are created by inserting a gene of one species into the DNA of another. As mentioned above the genetically engineered rBGH has had deleterious effects on animals and on humans. 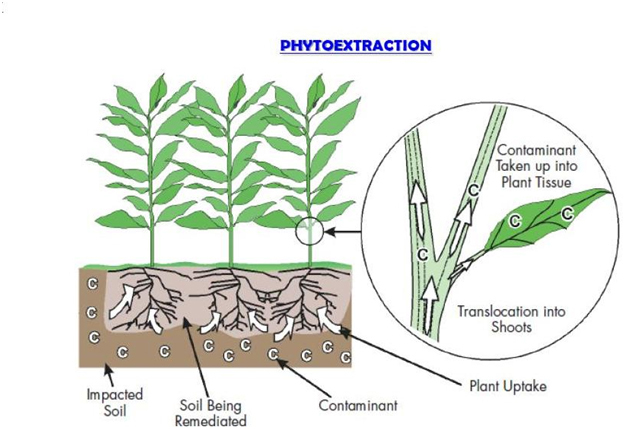 Genetically modified seed crops are of two types: Roundup Ready crops are engineered to be resistant to the Monsanto herbicide Roundup, whose active ingredient is glyphosate; in the other a gene of the soil bacteria Bacillus thuringiensis, or Bt, is inserted into corn, where it acts as a pesticide. Monsanto and other biotech corporations would have us believe that everything about GMOs is safe and that GMO crops will help feed the world. Government agencies and politicians base their decisions on those premises, which are false. To put it more bluntly, they’re lies. The truth of the matter is that GMO crops produce lower yields, require an ever increasing amount of extremely toxic pesticides and herbicides as pests and weeds become resistant, and the use of these herbicides and pesticides degrade the nutrients in the soil. Animal studies reveal that GMO foods and their residues of pesticide and herbicide cause disruptions of a number of biological systems, damage cells, and even alter DNA. Even though the FDA has required no further testing and no human studies, what is known about the effects of GMOs from medical evidence reported by veterinarian and medical doctors, in addition to scientific animal studies, has been alarming. So much so that to anyone who becomes aware of these concerns it’s clear that GMOs and the herbicides and pesticides formulated to grow them should never have been approved by the USDA, EPA, and FDA to be produced in the U.S. and consumed by humans or animals. Internal FDA memos indicate that the consensus among agency scientists was that GM crops could have a variety of unpredictable results, including toxins, allergies, nutritional effects, and new diseases. Statistical analyses of raw data from Monsanto’s own studies on rats indicate that three varieties of GM corn caused toxicity in the liver and kidneys, as well as significant changes in other organs. Most of baby rats died after being fed GM soy, compared to 10% that were fed non-GM soy. Embryos of GM-fed mice had changed DNA. In India, most of buffalo fed GM cottonseed had reproduction problems, and most of the calves died. 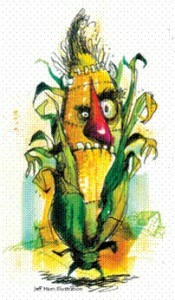 U.S. farmers reported that their pigs became sterile after being fed some varieties of GM corn, as did cows and bulls. Changes in the immune system in rodent studies. New proteins with allergenic properties are contained in GM corn and soy. Within two weeks of being fed a GM tomato, 7 of 40 rats died. Twice the number of chickens fed a GM variety of corn (LibertyLink) died. Tumors in mammary glands of female rats fed GMO corn (J), GMO corn with Roundup (K), and Roundup (L). Last year the journal Food and Chemical Toxicology published a report on the long-term toxicity of Roundup herbicide and Roundup-Ready GM corn (see pdf), the “�?rst detailed documentation of long-term deleterious effects arising from the consumption of a GM R[oundup]-tolerant maize and of R[oundup], the most used herbicide worldwide.�? In this two-year study of health effects of GM corn and Roundup in rats, most affected were mammary and pituitary glands of females, and the liver and kidneys in males, results explained by the study’s authors “by the nonlinear endocrine-disrupting effects of Roundup and the over expression of the transgene in the GMO and its metabolic consequences.�? Females developed large mammary tumors (see photographs at right). Some of the males had to be euthanized after kidney tumors grew to above 25 percent of their overall weight. Altogether, the significant biochemical disturbances and physiological failures documented in this work con�?rm the pathological effects of these GMO and R[oundup] treatments in both sexes, with different amplitudes. The EPA and the FDA should have conducted long-term studies of the effects of Roundup and GMOs before Monsanto was allowed to unleash them onto the world. However, like we’ve seen with Corexit, those agencies adjust regulatory policy to fit the demands of corporations. 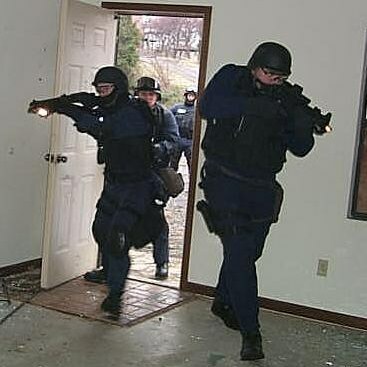 They can’t be expected to protect the public, despite public tax dollars appropriated to those agencies to do so. The very least we must do to protect ourselves and our loved ones is to avoid GMO products as much as possible. Those who have learned and are practicing the basics of detoxification, which include limiting incoming toxins, already know that “clean nutrition,�? meaning in part the avoidance of all processed foods, is a necessity. Because risks involved in consuming GMOs include ingestion of pesticides and it can be very difficult at this time to avoid GMOs completely, everyone should detoxify and then adopt a detoxification maintenance regimen, the basics of which can be learned by reading Detoxify or Die, by Sherry A. Rogers, M.D. If we start by eliminating from our diet all processed foods, the process of choosing what is non-GMO and is healthful will be easier. The main foods and ingredients to avoid in order to limit the consumption of GMOs are corn, soy, canola oil, cottonseed oil, sugar made from sugar beets, commercial dairy products in which cows were given the growth hormone rGBH, papayas, zucchini and yellow squash, and canola oil. Aspartame, which should be avoided anyway because of its toxicity, is also made from genetically modified bacteria. GMO avoidance is made easier by several free phone apps and lists made available by several nonprofit organizations. The Non-GMO Project offers a free phone app. Non-GMO Project free iTune app: Designed to support consumers in knowing what’s in our food and avoiding GMOs, this app features a list of the brands and products that are enrolled in the Non-GMO Project’s Product Verification Program. The Non-GMO Project’s program is the ONLY third-party non-GMO verification program in North America, and “Non-GMO Project Verified�? is the only non-GMO claim backed by transparent and rigorous standards. The Non-GMO Project is a non-profit organization originally founded by retailers committed to providing consumers with reliable non-GMO choices. You can also use the Non-GMO Project‘s data base to verify if a product you’re interested in purchasing is non-GMO certified, and view a list of retailers in your area that are participating in the Project. Please explore this site to learn more about how you can ensure the products you purchase are GMO-free, support non-GMO products and retailers, and to make requests for products to become verified and listed. As consumers we have the power to reject GMOs by refusing to purchase products that contain them, even if our elected representatives refuse to pass labeling laws. It’s this power that corporations which sell harmful products fear. As more and more countries refuse to important GM agricultural and food products, the more U.S. federal government increases subsidies to U.S. farmers who are growing GM feed and foods, and the more U.S. consumers are expected and forced, if possible, to eat them. It’s not so much by protesting against the power of giant corporations like Monsanto and the politicians who collude with them that will free us from their tyranny, but by refusing to consume the products that are unsafe and that threaten to make our loved ones ill, and are already making many sicker than they have yet to realize. At this point marches and protests are of most value at when they include educational outreaches to the public. Let’s all make the effort to learn about GMOs, to educate others, and to, at the very least, exercise our purchasing power to reject them, and to grow as much of our own food as possible. With 9 out of 10 people in the U.S. opposed to GMOs in our food supply, we can curb corporate and government GMO tyranny by exercising our consumer power, which is now worth much more than a vote for a politician. The Institute for Responsible Technology hosts a networking service so people can get in touch with other organizers in their community. Resources provided include draft letters to grocery store managers and restaurants, brochures, fact sheets, and organizing tools. Achieving the consumer tipping point can be accomplished through 1) public education, 2) winning the cooperation of grocery stores, restauranteurs, and manufacturers in your community (see IRT’s Tipping Point action sign-up page). When our elected officials represent corporations instead of the electorate, when agencies such as the EPA and the FDA lie to the public about safety of products we’re led to believe are tested and regulated, when a transnational corporation is so ruthlessly powerful that it poisons the people, and the entire planet, with impunity, it is our obligation to stop it using nonviolent tactics. Good planning is essential for successful direct actions. If they involve civil disobedience that could result in an arrest, it’s a good idea to speak with a supportive attorney ahead of time and to be prepared. One direct action being practiced is applying GMO labels on foods on Grocery shelves. However, caution should be exercised so that you won’t be charged with property damage and ultimately forced to pay for GMO products! There are also many other ways people can creatively engage their community without alienating it. Please document your direct actions and educational outreaches you’ve conducted with descriptions, photographs, and videos, and send them to us so we can share them with others (send to info@gcbarefootdocs.org)! Fundamental to health freedom is having access to clean water and healthful foods, the freedom to choose the nutrients we ingest, the freedom to prevent harmful toxins from trespassing in our bodies, and the freedom to rid our bodies of those toxins. The EPA and the FDA continue to violate these rights by failing to test and regulate GMO crops, foods, and drugs and the chemicals used to produce them, and by lying to the public about their safety. White House administrations continue to violate these rights with political appointees favorable to biotech corporations such as Monsanto. Congress has violated these rights by failing to provide proper oversight of the EPA and the FDA, for confirming appointees who are entering government through the revolving door between the White House and Monsanto. The only way to curb the tyranny of Monsanto and other biotech giants and the GMOs they’ve unleashed onto the world is with our own bodies: refusing to allow GMOs to invade our bodies is the very least and perhaps the most we can do. Following are further educational resources about GMOs. See also the “No GMO�? link section in the right-hand column. The World According to Monsanto (Le monde selon Monsanto, 2008) Directed by Marie-Monique Robin, author of the book by the same name that won the Rachel Carson Prize. 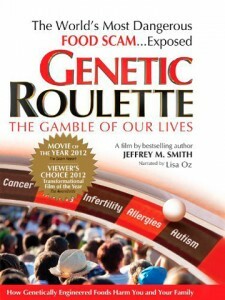 Genetic Roulette: The Gamble of Our Lives Everyone should watch this documentary and share it with family, friends, and community. 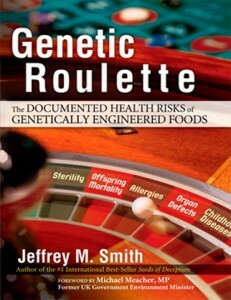 Jeffery Smith brilliantly summarizes the threats of GM foods to human and animal health and to global food security and convincingly sets forth a proposal of how consumer power can regain and protect their and their family’s health and take back the food supply from control of biotech corporations. The film can be purchased or rented through Amazon. 1 hr. 25 min. Buy, or rent for a week. Show at a family, church, or community gathering. TLD recommends you visit Gulf Coast Barefoot Doctors for more great/pertinent articles. 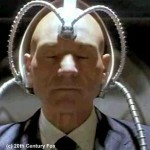 Mind Reading – From Science Fiction to Science Fact: Are Your Thoughts Really Private? The thought of someone being able to read your mind by pointing a remote beam at your head is a very scary concept and one most of us would immediately push back against! In this day of tyranny when we are fully aware of the fact that our own government eavesdrops on our (supposed) private communications, including our phone calls, tweets, text messages, emails, cable box selections, and internet (social media) conversations, we are well aware that if the technology was available to them it would be utilized without reservations or limits … IS IT? Now we are told that rudimentary mind reading is not only possible, but is a reality being practiced by as many as 90 companies globally. This process is in its infancy, cumbersome and by no means an exact science yet. BUT if we are being informed of this via the very complicit mainstream media, just how long has our government, via black ops and highly classified research program been working on, or with this? Is this a conspiracy theory, or by past revelations a possibility that cannot be discounted or ignored? 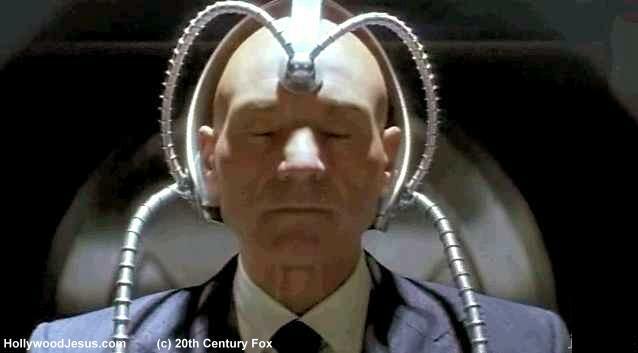 And if so how advanced is this technology in actuality? How long will it be before this process finds its way into our legal system? 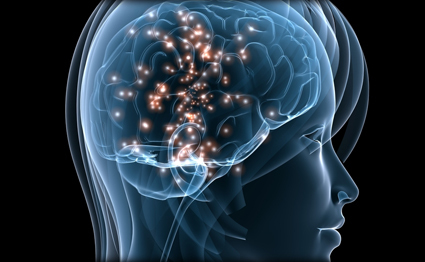 Do we in fact have any rights to deny a brain scan to determine our thoughts? 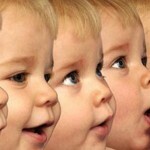 Consider that your blood, DNA and sperm can already be used against you in a court of law, will your thoughts be next? Privacy is defined as – The ability of an individual or group to seclude themselves or information about themselves and thereby reveal themselves selectively. The boundaries and content of what is considered private differ among cultures and individuals, but share basic common themes. Privacy is sometimes related to anonymity, the wish to remain unnoticed or unidentified in the public realm. With this new technology, and the very real prospects that our government must by default already posses a much more advanced mechanism for this intrusion into our privacy, will your ability or desire to be unique in your thoughts be in danger of evaporating? Will what makes you stand apart as an individual also put you in danger of being accused of being a danger to society, and who defines “a danger�?? This is a very slippery slope we are imparting on and one that must be considered in manners of the extreme. 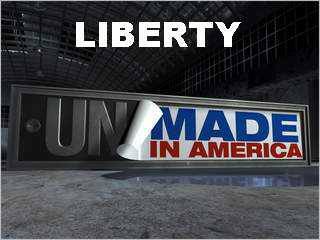 Is society ready for this, or will it foment another major push-back against those who would rule and control us. These are all unanswered questions, but the answers need to be found and well defined before this mechanism becomes common practice in both the commercial and legal aspect. The question presented to us all is “Will they be�?? A thought is an expression of self a manifestation of conscience and of existence as put in the famous sentence of Decartes: “I think therefore I exist” Our understanding of fundamental civil rights are far behind technology. As mind reading science advances at an alarming rate our most fundamental right of developing and maintaining a thought is under siege. Please watch this short segment about this, life imitating science fiction, research that if unchecked is guaranteed to destroy our fundamental notion of being human. No one has the right to pry into the mind of another human being and read his private thoughts. 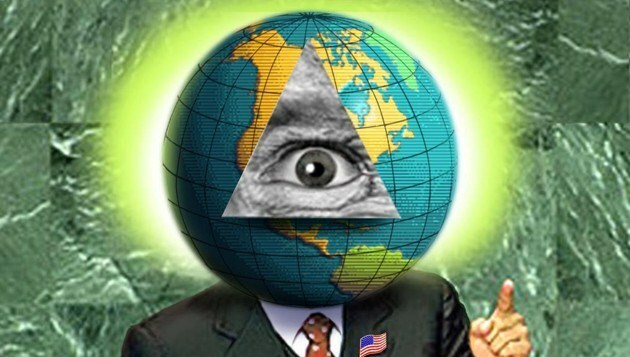 TLB Rant Preface: The elite have plans for America. They will be stripped of their rights and given a commercial value designed to make us a profit and they will be none the wiser, for not one man in a million could ever figure our plans and, if by accident one or two would figure it out, we have in our arsenal plausible deniability. After all, this is the only logical way to fund government, by floating liens and debt to the registrants in the form of benefits and privileges. This will inevitably reap to us huge profits beyond our wildest expectations and leave every American a contributor or to this fraud which we will call “Social Insurance.�? Without realizing it, every American will insure us for any loss we may incur and in this manner; every American will unknowingly be our servant, however begrudgingly. The people will become helpless and without any hope for their redemption and, we will employ the high office of the President of our dummy corporation to foment this plot against America.�? Does any of this sound familiar, ring a bell? Look around you at the world we live in today, research the role and actions of the Federal Reserve over the past 100 years and you will discover the prophetic reality of this quote. 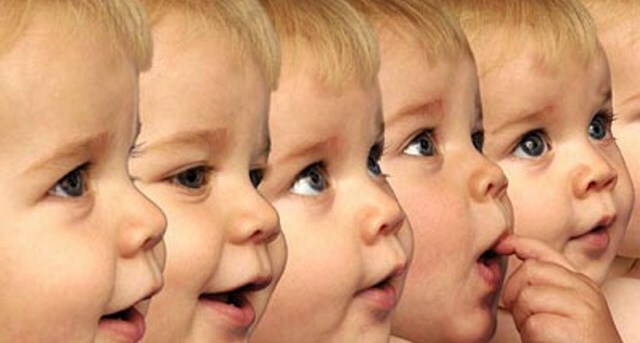 The world’s first geneticallymodified humans have been created. TLB Note: This article is based on research from this 2001 report (PDF) http://humupd.oxfordjournals.org/content/7/4/428.full.pdf. We still feel the information is worth noting.